If this sounds like a common reply in your conversations with a beloved older adult, you are not alone. 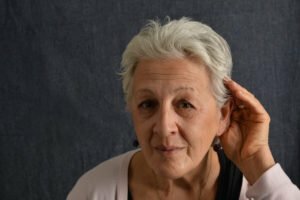 The National Institute on Aging reports a strong connection between growing older and hearing impairment, with as many as half of all individuals age 75 and older encountering hearing issues. Hearing loss usually sneaks up gradually on older adults. With time, the wear and tear on the ears from noise leads to hearing impairment by damaging the fragile inner ear. In spite of this, those with hearing loss generally wait as long as seven years before getting help, and greater than 15 million people in the United States with hearing loss avoid seeking help altogether. Unfortunately, many older adults begin to feel left out and isolated when enduring hearing loss. The compassionate, fully-trained caregivers at Hired Hands Homecare can help provide relief for lonely seniors by delivering companionship, accompaniment and transportation to appointments and events, and much more. You can reach us any time at (866) 940-4343 to learn more about how our California home care services can help older adults maximize their wellness, safety and independence, right in the comfort of home.